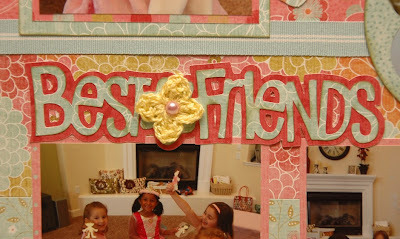 Monique Griffith Designs: Best Friends Tea Party Layout - by Nana Susan & Blog Candy! I love this layout! I must have this cart! This is the perfect lo for my niece's tea party a couple of years ago! I think you should give a lo just like this, including the crochet flowers. Super cute! So very pretty! 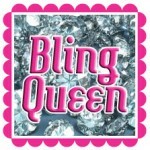 I love your blog candy idea and I would LOVE to have a Disney themed LO created by you for me!!!! Wow! Awesome layout. 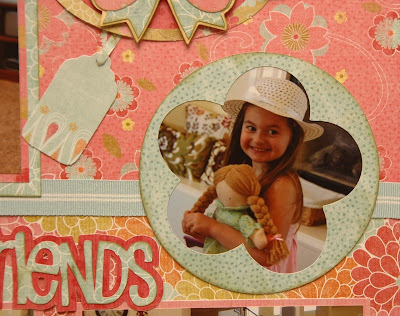 There are so many themes that I would love for you to create for my scrapbooks. How to choose just one? I think I would like a baby girl layout since I just had a baby girl and now have no time to create!! Thanks so much. Take care and thanks for all of the creativity!! your LO is so cute! Hmm.. How about Mardi Gras!? or For a girl, but not using pink. I have a 8yo girl who is so not girly - never played with a barbie in her life or been to a tea party! She loves dinosaurs and dragons! I would love to see ideas that are for a girl but not too boyish. Feel up to the challenge? What a gorgeous layout. Would be perfect for my DD, she loves to play dress up and have tea parties with anyone that will play. I would love to win a custom layout. Either Princess or little boy would be great since I have one of each. Thanks for the chance. I'd like to see a layout for a day in the park. That's our family's favorite place to take pictures, and I love scrapping the everyday stuff! Adorable layout! I would love to see a layout for a petting zoo. going to have my first great grand daughter this summer and love this layout and cartridge. i would love a baby girl layout. as usual i love all your work and get inspired by you! This is such a cute layout! I am scrapping my daughter's first birthday party and have used this cartridge quite a bit on it! I would LOVE to see you create a layout for a baby girl just starting to walk! what a neat idea i would love a boy birthday party layout. My sons 7th birthday is next month. Also a camping one would be great to. I love all your layouts anyway. I'm always so impressed with your layouts and now I'm a fan of Nana Susan's too. I love the papers... the soft colors are just perfect for a little girl's tea party. Love your blog candy idea. I think I would have to choose a wedding layout. My nephew is getting married this spring and I would love to make shadowboxes with your gorgeous layouts to hang on their wall. That would make an awesome gift for him and his beloved! Wow! Your layout is beautiful!! I love your blog candy idea :) I think that I would love a pet (dog) theme lo!! This is a supe cute LO. I would love a Disney themed LO like Melissa. I have yet to scrap our photos when we were at Disney and am totally behind! this layout makes me want to have a tea party! Tooo cute. The crochet flowers are super darling. A custom made layout by Monique...winning would be over the moon! What an adorable layout, great job Nana Susan! And what a great idea for the blog candy. I would love to see one done with a sewing, gardening or baking theme. Thanks for the chance. This is a beautiful layout! I haven't used this cart yet, but now I have some great ideas. I'd love to have a layout with a racing theme. I'd love to see teen boy. A lot of the cuts are very cutesy and it's a challenge to get an older, more masculine look. I think your blog candy idea is great! Go for it. 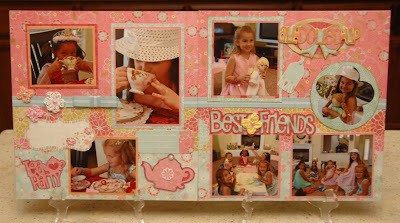 This layout is priceless; so perfect for a girls "tea party"! The papers, colors and i luv the flower punch-out with a photo in behind. How about a LO for a dance recital? 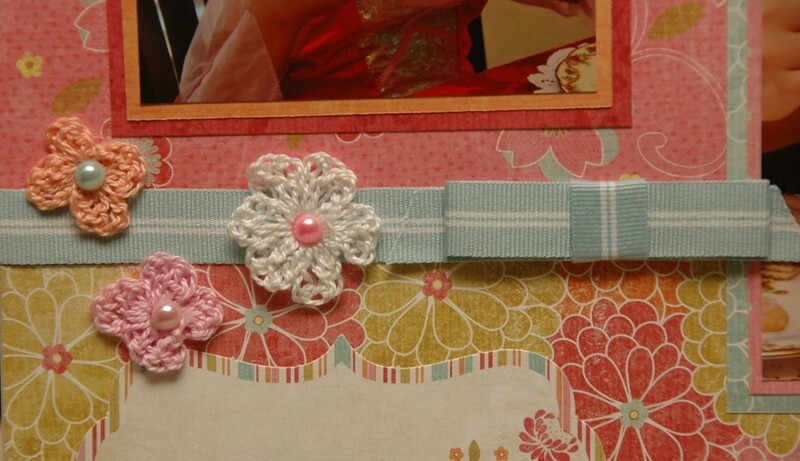 This is an adorable layout...love the colors and papers!! I love your idea of a custom layout! I think I would want a "girls night out" layout. I'm pretty tame, night out is scrapping or book club, not out partying or drinking or anything. I think that would be a fun layout to whip up! Here's an idea: Pick a winner and then let them choose a theme. These ideas are so varied, and yet I can see how some of these would be very desirable for some people but others would have no uses for them. And something very specific would probably mean more to the winner than something generic, although everything you do is gorgeous. Just a thought. what a cute layout!! OK...this would be a easy choice for me! If I were lucky enough to win I would ask for a layout that I could use for my dogs! I have 6 golden retrievers and would love to see what you would come up with! I love the idea of you making a layout in the theme of the winners choice. It would just be so hard to choose what theme! This layout is precious. If I was to win the blog candy, I would love a layout with pics of my mother. She passed away almost 16 yrs. ago when my kids were little (daughter 6, son 4) and I'm having a really hard time doing anything with her pics. I want something special and I would never be able to do them justice like you would. Thanks for the chance. What a fun tea party and beautiful layout. I think I would like a layout for my family dog. I take alot of pics of her. She is old, mean, grouchy and stinky (and has a long list of nicknames)--- just part of the family. What a beautiful layout! Nana Susan did a wonderful job and that tea party looks like so much fun! I would love a layout for a boy/toddler. I have a little boy and it's so hard to come out with something for Him (I always go for the pink) lol. I hope you have a wonderful blessed day :0). Beautiful girly layout! I love the papers too. I think having a custom lo designed is a great prize and would love to have it! Beautiful LO...and the sweet little ones make it gorgeous!!! The "teapot" layout is absolutely fantastic. Your idea of a special lay-out is a great idea. I would personally love a spread that would cover the love I have for my husband of nearly 43 years. He is the love of my life & whatever design I would come up with certainly would not match the creativity you have. I love your layouts and am always inspired by your use of different patterns together. I would love a layout with trains but anything for little boys would be great! What a great layout!!! So pretty and girly! Perfect for my toddler princess!!! And GREAT idea for blog candy!!! What a lucky duck the winner will be!! (I hope it's me!) I would choose a layout with a "zoo" theme (a recent trip) or a summer/swimming layout! ooooh, so exciting!! What about a safari theme? That one really has me stumped! Adorable! I love the idea of your blog candy being a layout. I would love one of each of your suggestions - LOL. Seriously - I have so many pictures I need to get onto pages that any of these I would probably have pictures for. I love the lo! If I got to choose a lo for you to create, I'd love to see a wedding one or a heritage lo. Ya know, pretty much anything you created would be awesome! How about a layout for working mom...some like "woman at work the version of (man at work)" :)something like that!! Emily and friends look like they had a lot of fun. How about a day at the beach kite flying. Love this LO. I would like to see you do something with the Campin' Critters layout. What a great boy scout cart. Your layout is beautiful as always! I would love to have you create a Disney layout for me so I could use it for our recent pictures from our trip! Such a great idea! What a great LO! I love the paper too. Wow! What a fabulous offer. Let's see I could use a layout for the aquarium, the park, a best friends where the bf are dogs, Disney, Thomas the Train...my list never ends. If you can't tell, all of the above for a very, very active boy. You have loads of both talent and imagination and have out together a simple fab design team. Congrats! Nana Susan - this is adorable! My granddaughter just attended her first tea party at a wonderful tea parlor with her American Doll. The girls all had their dolls and sipped tea and ate crumpets, just like English Young Ladies would! This would be the ideal layout for that event! I'd better get to work! 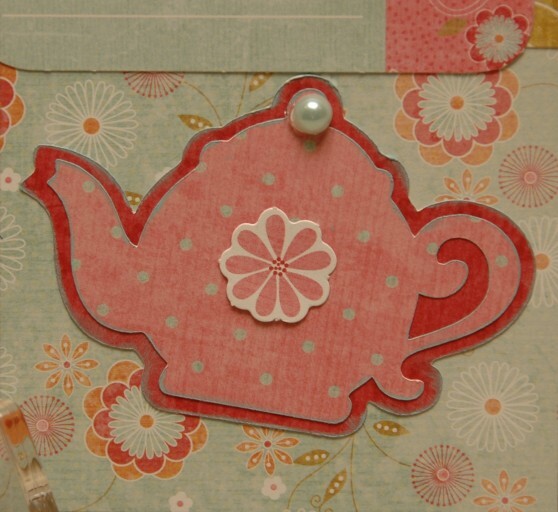 Love the idea for a custom layout for blog candy, and I'd select the "Tea Party" one by Nana Susan! THe Tea Party Layout is beautiful. YOu and your team have wonderful ideas. My idea for a layout would be a camping layout. I have so many camping pic and not enough ideas. I would love for you to create one. LOVE this - Nana did a great job! How about a sophisticated older teen girl layout? Congrats, Nana Susan. 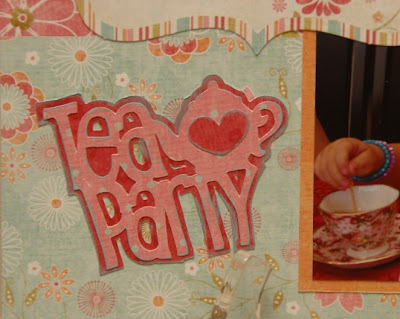 This is such a cute layout for a girls' tea party. I have no girls, so this is so cute to look at it - lots of girly and frilly things and colors. I love the blog candy idea and would love a l/o with Mickey, Goofy, Donald, Pluto, etc. maybe playing some musical instruments. Nothing too girly, though, since I have a son so no princesses. My son is going with the Senior Showband in his school (Pre-K to 8th grade)to Disney in May to compete at Festival Disney and he is only in 5th grade!!!! He's only halfway through his second year of clarinet and loves it. He is very good at it too. Not sure if you have the Quarter Note cartridge (I don't yet), but that has some great musical images along with the Disney Mickey & Friends cartridge. Hope I win cause I love your work!!!!! Great layout! I hope I win a layout created by you! Gorgeous layout! Love the crocheted flowers. I love this layout. Reminds me of the tea party I had for my little girl about 17 years ago!! We went to Italy and Greece this past year for a 25th anniversary and my album would be perfect with a layout done by you! Beautiful work Nana Susan! I love anything Disney and it is so girly! I would love to see more Disney themed layouts or something for a baby boy. Thanks for the opportunity to win! 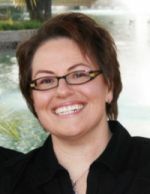 Your idea for blog candy is just awesome. Could you do a combo layout...like boy and girl. Just wondering...or maybe vacation (beach theme). Thank you for offering such a wonderful prize! Makes me wish I had a little girl to scrap for. I have two wild and wooley through and through boy grandchildren,4 and 6. to win a layout designed by you would be a dream come true. What a beautiful layout. Aren't little girls just too precious. I'm frantically working on an Eagle Scout scrapbook so I'd love to see some Scouting layouts!!! I love this layout! Since I have three little boys, it makes me long for that future granddaughter! I've always had a fantasy of having a big lavish tea party with all of my friends where we all put on our wedding dresses or other fancy dresses--it would only be us ladies in attendance so we wouldn't need to worry about buttoning them up in the back...this layout would be cute for my fantasy tea party! Love the tea party layout, especially the crocheted flowers!!!!! I would love to see a layout for dance recitals. My 5 year old granddaugher will be in her 2nd recital this year and my 2 daughters were in recitals for 10 years. How do ya'all come up with such cute ideas? I need lessons. Lovin it. I love this! 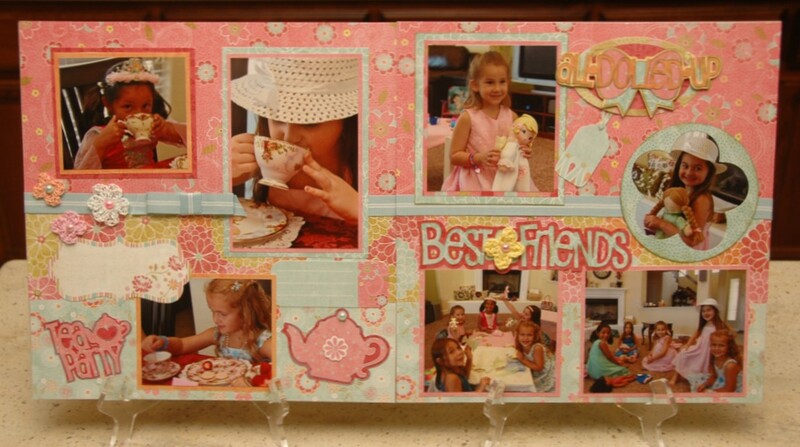 I have a 6 year old granddaughter to loves to play tea party with me and I have some pictures I need to do, I think I will copy this layout!!! 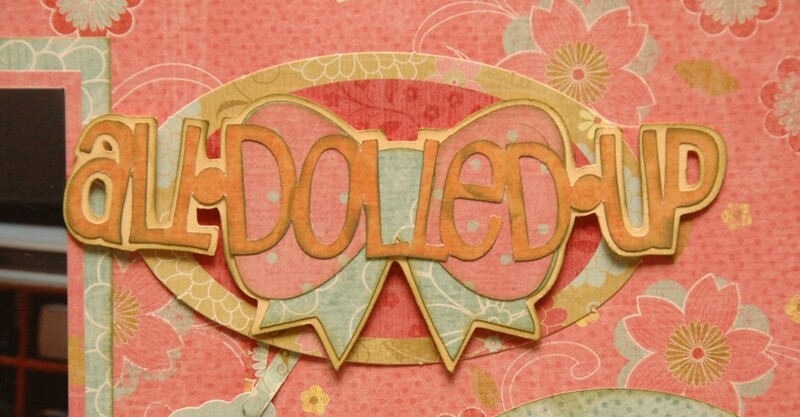 OMG I wish I had your talent, but I do have a cricut so I will keep trying, just beautiful!! I better pay you a visit! Your talent is rubbing off on those around you! ;) Nana Susan did a great job on that cute layout!!! :) And your daughter is adorable! Who made the crocheted flowers?! the business web site and several distributors.